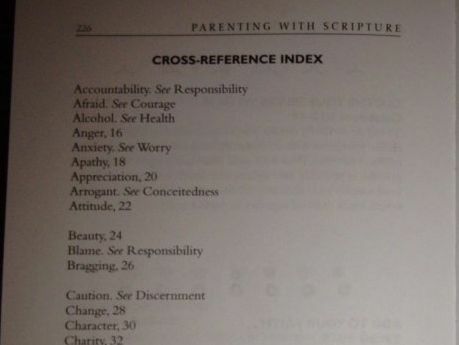 Archive for the ‘Parenting with Scripture as Devotional’ Category. Got your attention, didn’t I? No, we’re not going crazy here at the Durbin household! Those are just the topics we’re starting with as we tackle Parenting with Scripture topically this year. Because the New Testament readings I recently blogged about are only five days a week, we decided that each weekend would be a perfect time to focus on a different topic from Parenting with Scripture. The week days in between will allow us time to positively apply God’s word. Stay tuned for highlights!